Fundraiser for Andy Brattain by David Orton : Andy needs our help! As many of you know, our friend Andy has been living with Primary Sclerosing Cholangitis (PSC), a chronic autoimmune disease that has left him in need of a liver transplant. After many years of waiting, we are thrilled that he was finally matched with a donor and underwent successful transplant surgery on Friday, January 5th. Just a few days after the operation, Andy is already way ahead of the curve in his recovery. 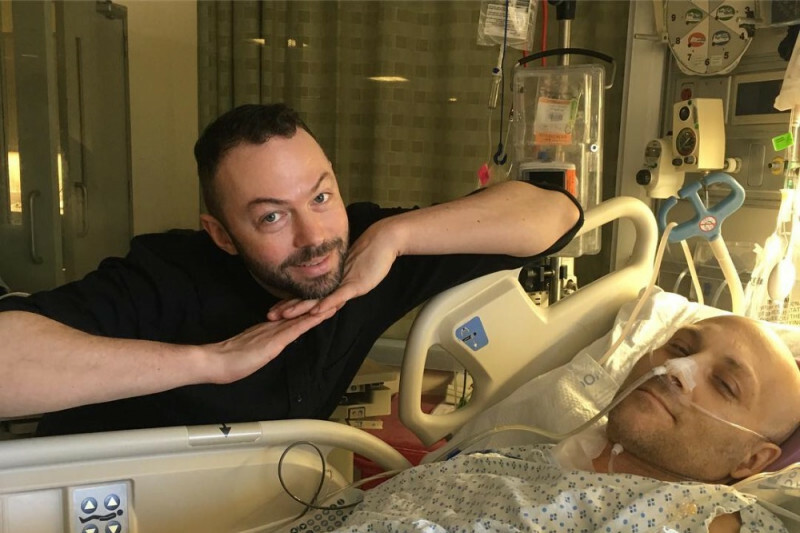 He will likely be discharged within days, meaning he and his husband, Matty, will soon be able to get back to their lives without the daily concern of whether (or if) Andy will ever be matched with a donor. However, Andy and Matty now face a new challenge: figuring out how to afford the nearly $30,000 in medical bills they have accrued in medical appointments, countless emergency room visits, and other necessary treatments not covered by their insurance. Unfortunately, these costs will only continue to build during the estimated 6 months of Andy's recovery process, thanks to the costs of ongoing rehab, medical appointments (nearly 3x week), and travel expenses (Andy will be unable to commute to these appointments via subway). Affording these next 6 months will be made all the more difficult for the couple since Andy is self-employed and will be unable to work during the initial months of his recovery. If you know Andy, you also know that he is a fiercely loyal friend. He would be the first in line to open up his wallet for a friend in need and the very last to ever ask for help, even when he most needs it. So we're asking for your help on Matty and Andy's behalf. Any amount you can contirbute can go a long way towards offsetting the considerable financial strain this journey has put on the couple, and allow our friends to get back to enjoying their lives again. Andy and Matty have faced every step in this difficult journey courageously and without complaint, even in the face of the numerous setbacks. They deserve to begin this new chapter in their lives without an incredible debt hanging over their heads.